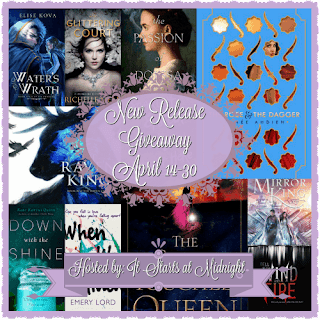 Blogaversary Day 12 - April New Release Giveaway Hop! As Day 12 of my blogaversary, I've decided to participate in the April New Release Giveaway, hosten by the lovely Shannon from It Starts an Midnight. This will be open Internationally as long as TBD/ Wordery or any other retailer with FREE shipping ships to your country. The book must be under $17 in value. Also, I am not responsible for losses incurred during shipping. Sorry, guys. I can't afford to send out another book! Thanks for stopping by A Thousand Words A Million Books!